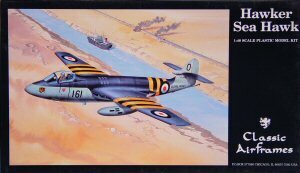 The Sea Hawk was a single-seat fighter that was designed by Hawker in the late 1940s, but further development and production of the type was transferred to Armstrong Whitworth (AW) in 1953. Powered by the Rolls Royce Nene 101 engine, the Sea Hawk F.1 (produced in limited numbers by Hawker and the remainder by AW) entered service with the Royal Navy. The Sea Hawk F.2 followed with the addition of hydraulic-boosted ailerons. The Sea Hawk gained a fighter-bomber capability with the FB.3 and FGA.4 versions. The FB.5 (and a number of retro-fitted FB.3) received the more powerful Rolls Royce Nene 103 engine. 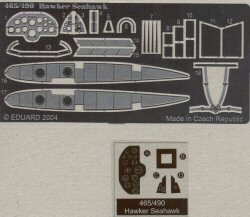 The Sea Hawk FGA.6 (as well as some re-fitted FGA.3) and the Sea Hawk Mk.50 were fitted with the Nene 104, equipped with US-made radios, and modified in 1959 to carry the Sidewinder missile. 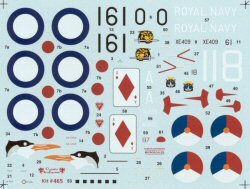 When Egypt seized the Suez Canal in July 1956, Sea Hawks aboard the HMS Eagle, Albion and Bulwark participated in a pre-emptive strike on Egyptian airfields while joint British-French forces seized key points around the canal before international pressure brought the crisis to an end. 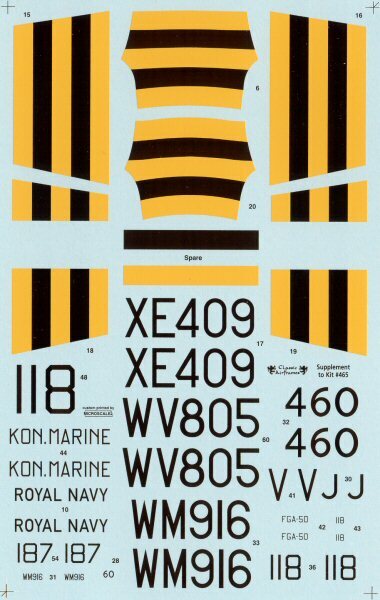 Allied aircraft participating in the Suez action wore black and yellow invasion stripes for quick identification. 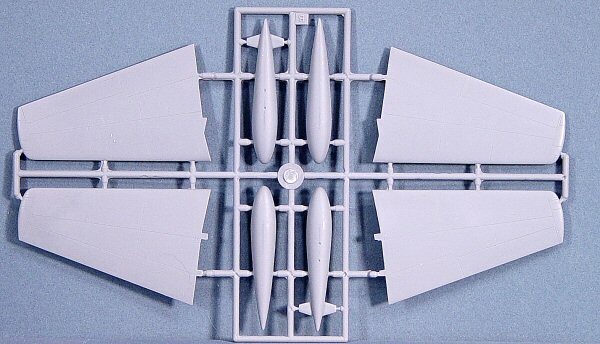 The kit from Classic Airframes represents the first time this subject has been captured in a 1/48 scale styrene kit. 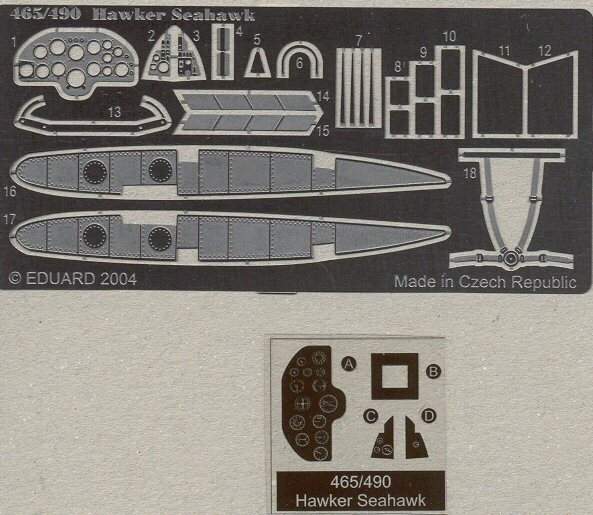 The kit captures the beautiful lines of the Sea Hawk quite well. 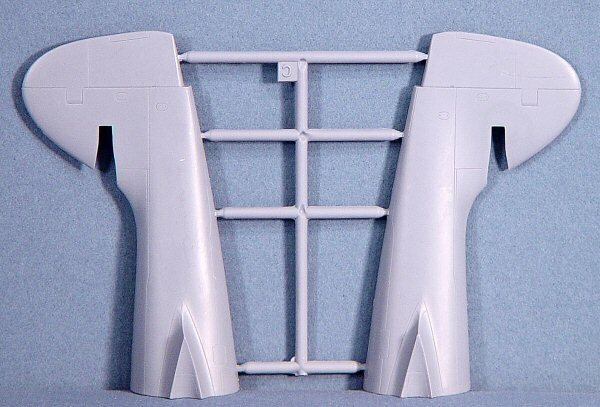 Molded in light gray styrene, the kit comes on three parts trees, plus a single clear styrene canopy. 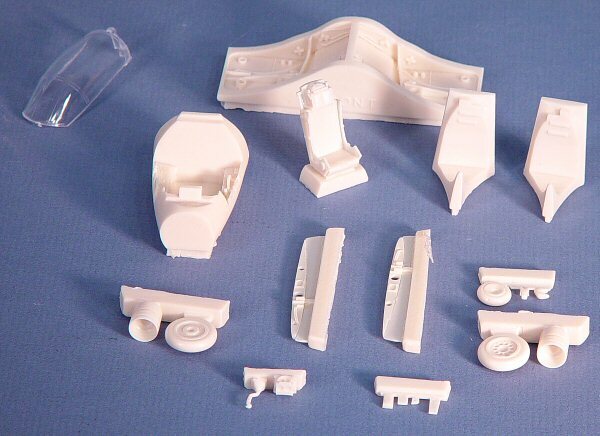 A bag full of nicely cast resin details are provided for the cockpit tub, ejection seat, control yoke, wheel wells, intakes and exhaust ducts. 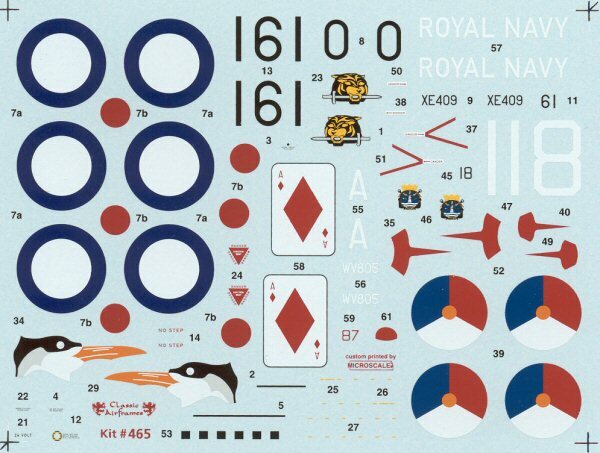 In addition, a fret of beautifully etched brass parts are included with seatbelts/harness, instrument panel (w/acetate instrument faces), and excellent wing structure details should you opt to pose the aircraft with its wings folded. 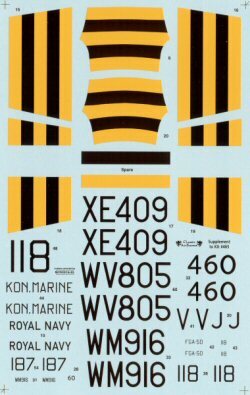 In fact, the only differences between this kit and its German Mk.101 companion are the parts for the tail section, the decals and the box. 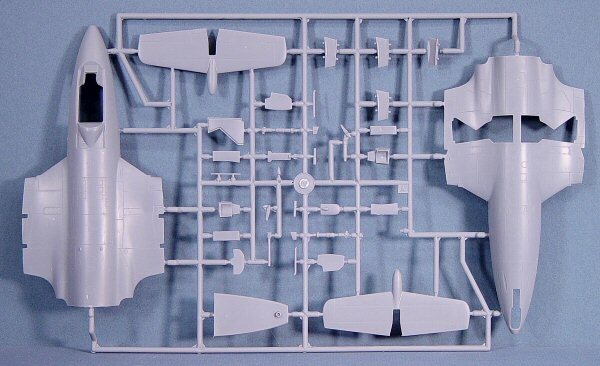 The kit represents yet another major improvement in the design and production of models by Classic Airframes. 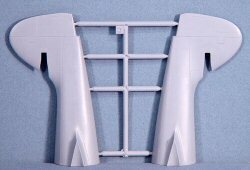 The detailing is crisp and clean throughout the styrene and resin parts. With the nice selection of color schemes provided, you can add an interesting subject to your scale flightline. If you have a little experience with multimedia kits, this project should be an easy build. My sincere thanks to Classic Airframes for this review sample!